At Dino’s Auto Collision, we know how much you rely on your car. That’s why we treat it like it was our own when you bring it in for restoration or repairs. Our aim is to restore your vehicle to near-showroom condition, both inside and out. Dino’s Auto collision recently repaired my Hyundai Santa Fe which had significant damage to the passenger side front body and head and side lights following what at the time appeared to be relatively minor trauma to the vehicle. I was well taken care of by Dino’s. Staff were friendly and courteous; and liaised efficiently with my insurance company and with the car rental company. The repair work was performed expediently and the restoration work of excellent quality. I have no hesitation in recommending Dino’s to colleagues who need auto body work. We would like to thank you so much for your service to our Mazda 3. The repairs were completed flawlessly. It looked brand new and we were so surprised and pleased with the condition of the car when we picked it up. The polish and shine on the outside AND inside was awesome! We commend you for your work! If the occasion arises we will recommend you to our friends. Thank you for your kind and caring service! I would like to take the time to thank you for the magic you and your staff performed in restoring my car to better than new. The bodywork was seamless and the paint blending was perfect. The clean-up after the work embarrassed me and the speed in which the work was done most impressive. Thank you for the hard work done by your body men and I hope the next time will be for cosmetic work and not repairs. We have lived in the Rockwood area since 1982 and had often passed your establishment on Highway 7, not realizing that what looks like a private home with someone who is doing body work as a hobby was in fact a front for an extremely professional auto repair operation! Frankly, had our insurance company not sent us to you, I am not sure we would have driven in. But now that we have had the opportunity to work with you we are we didn’t damage the car on purpose just to experience what we thought was a dying business practice – CUSTOMER SERVICE. We were in a pickle – just days before our European vacation our car was hit in a public parking lot. We drove straight to your place and we realized we were in professional hands right away. More to the point, you solved our transport problem – driving us home after we dropped off the car so we could catch the airport limo. You repaired the car beautifully while we were away, dealt with the insurance company, washed the car and detailed it, and then deposited it in our garage so that our practically new car was there for our use when we returned from vacation. Later we received a written guarantee on the work along with a few business cards in case we’d like to recommend your services. Too right – we will! We have not been so well treated by a service provider in more years than we care to remember. Thank you so much for your help – and do post this on your wall of testimonials! Another great job on my car. You never disappoint. Everything is handled quickly, and conveniently. The quality of the job done is a priority for you. Thank you so much for taking such good care of my car. It is appreciated. Would highly recommend you to any of my family and friends. Stellar service from the Get Go! Efficient service to say the least and car was returned clean inside and out. Above my expectations! Now that I have had my car back for about a month and everything is going well, I would like to thank you most sincerely for the most professional job you did in repairing my Altima. I notice that your goal is to restore vehicles to their condition prior to an accident. In my opinion, you have exceeded your goal with the job you did on my car. It is as good as the day I drove it away from the showroom nearly two years ago. 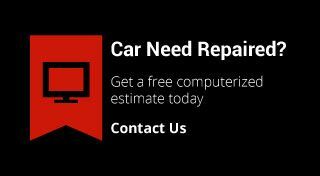 I cannot thank you both enough and can assure you I will highly recommend anyone needing repairs on their vehicle to come straight to you. I just thought I’d drop you a message to say thanks for the wonderful work you did on my Mazda! The body work looks fantastic (as always) but the fact that you also cleaned out the interior after my horrible mudding experience shows incredible attention to detail and a great attitude towards customer satisfaction, because I’m sure it wasn’t an easy job! I also wanted to thank you for being so accommodating with the vehicle pick-up. I’ll likely be back in the spring to fix some rust on the doors. Just a short note of thanks for always looking after my vehicles as if they were your own! It’s good to know there are people still out there who care about quality of workmanship and customer service. You guys are simply the best and must make Dino proud that you are carrying on in the tradition that he started. All the best guys. Thanks again. Thanks for the great service. My Jeep looks great and you were ahead of schedule. I would highly recommend Dino’s to anyone. The bonus of picking up a clean vehicle was awesome. At Dino's Auto Collision, we love hearing about your experience. Your valuable feedback lets us know how we are doing and what we can do to make your experience even better. Please use our convenient eform to leave us some feedback!